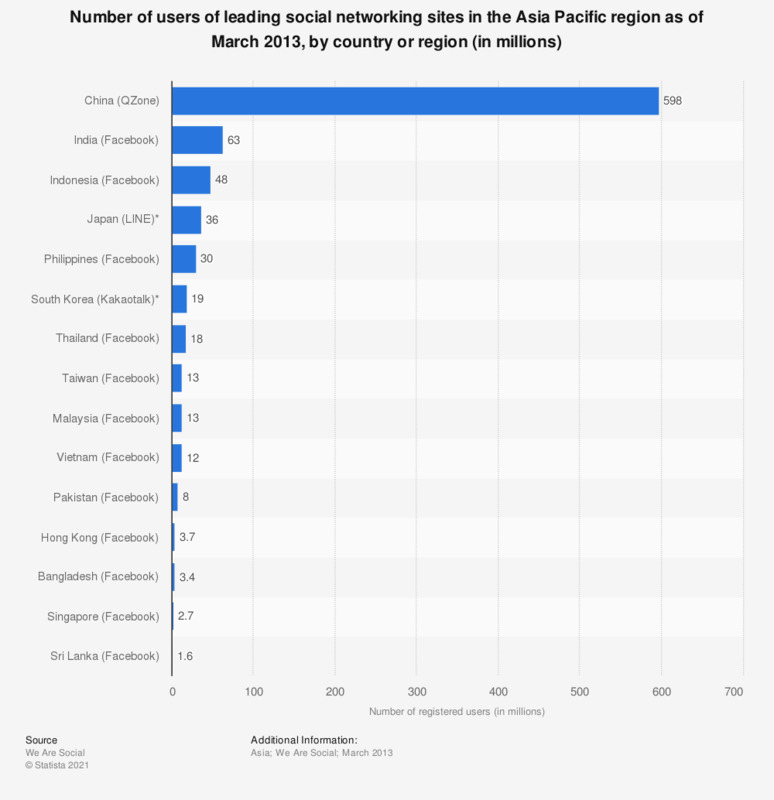 This statistic shows the most popular social networking sites in selected Asian countries, based on user figures. As of May 2013, Facebook was the most popular social network in Singapore with 2.7 million registered users. * Data marked * are representative calculations based on available data. Figures represent the latest site-reported monthly active users for the largest social network in each country, as of March 2013, except for Kakaotalk, where figures represent daily users.